On February 26, India woke up to the news of Surgical Strike 2.0 where Indian Air Force carried out an attack in Pakistan-occupied Kashmir (PoK) at terror camps in Balakot. India has been celebrating the attack since then and social media is flooded with messages and viral videos. Even Bollywood celebrities did not leave behind to show their support towards the Air force attack. 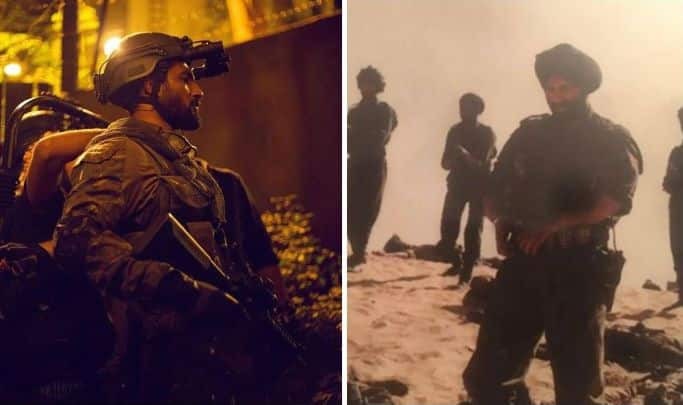 Since many years, Bollywood has also shown through their films about how India has strike back to their loss of army personnel. From Border to Uri: The Surgical Strike, Bollywood has always given us these hard fact films that always raised patriotism vibe in Indians. Now, here we bring you the top war films that are perfect to celebrate the air strike. The film is based on the Battle of Longewala during the 1971 Indo-Pakistan War. Directed by JP Dutta, the film features Sunny Deol, Sunil Shetty, Akshaye Khanna, Jackie Shroff and Tabu. The film is based on the true rendering of the India-Pakistan war known as the Kargil War. Directed by JP Dutta, the film features Sanjay Dutt, Ajay Devgan, Saif Ali Khan, Sunil Shetty, Akkineni Nagarjuna, Rani Mukerji, Kareena Kapoor Khan, Esha Deol, Raveena Tandon among others. The National Award-winning film is based on Kuwait business (Akshay Kumar) who carries out the evacuations of Indians during the 1990 invasion of Kuwait city by Saddam Hussein’s Iraq. The film also features Nimrat Kaur along with Akshay Kumar. It is directed by Raja Krishna Menon. Ab Tumhare Hawale Watan Sathiyo is a Hindi war film which has been directed and produced by Anil Sharma. It features Amitabh Bachchan, Akshay Kumar, Bobby Deol, Divya Khosla Kumar, Sandali Sinha, and Nagma in the lead roles. The movie is based on the fictional terrorist attack on the famous holy temple Amarnath temple. The Indian war drama film features Hrithik Roshan and Preity Zinta in the lead roles. The film tells us the story of Karan Shergill, who joins the Indian Army and finds himself. The film is directed by Farhan Akhtarand is produced by Ritesh Sidhwani. It features Amitabh Bachchan and Sharad Kapoor in important roles. The film bravely brings back the real-life chapter of the surgical strikes of 2016 carried out by the Indian Armed Forces. Uri: The Surgical Strike follows Major Vihaan Singh Shergill of the Indian Army, who played a leading role in organizing the 2016 strike. The surgical strike, which had taken place in September 2016 after a terror attack in Uri, was conducted against militant launch pads across the Line of Control in Pakistan-administered Kashmir by the Indian Army. The film features Vicky Kaushal and Yami Gautam in the lead roles.